My family is passionate about adoption and orphan care. We are burdened and saddened by the amount of babies in this world who live alone without a family to love and protect them. Read these facts. They will astound you. 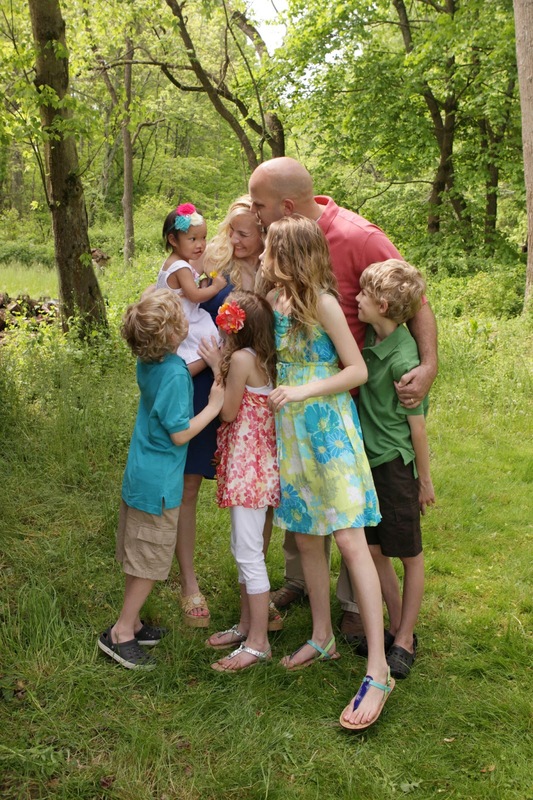 In 2011, we were blessed to become parents to our 5th born, Tahlia, through the miraculous gift of adoption. Here is her adoption story. And here is our timeline to our baby girl! God sure did move Mountains to get us to our baby girl! What a journey of faith it was! July 5, 2011: accepted the referral of our beautiful Tahlia!!!! Dec. 7: leave for China! (praying we are home before Christmas!) GOD ANSWERED OUR PRAYERS!!! Also, my daughters and niece are passionate about caring for these sweet precious ones who have no home or family to call their own. 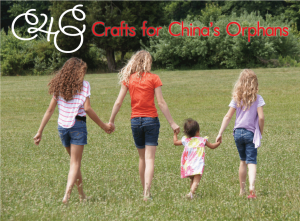 They have started a ministry called “Crafts for China’s Orphans” to raise money for the orphans in China. After we brought home Tahlia, their hearts became burdened for her friends in her orphanage that were left behind and still waiting for their forever families. 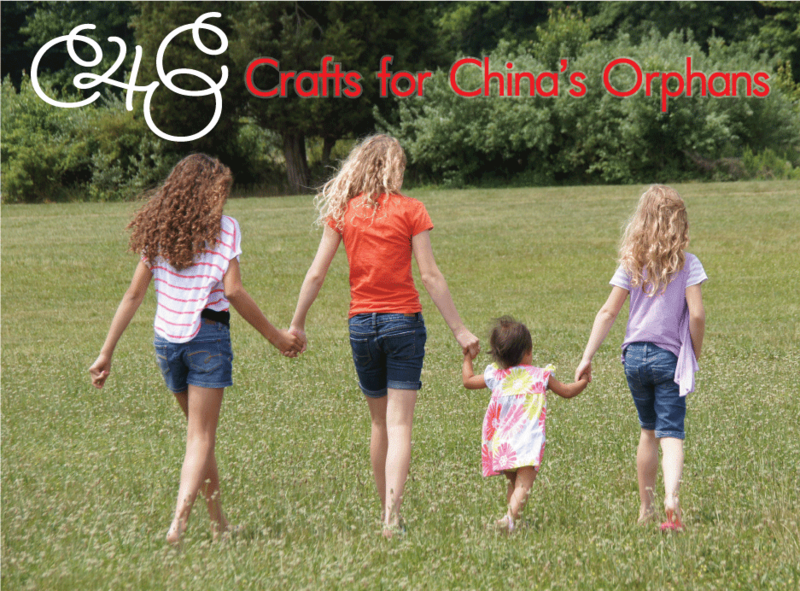 So, they decided to use their love for creating crafts to try and raise money to buy needed supplies for her orphanage. They also will use the proceeds to donate to Half the Sky Foundation. Half the Sky foundation is active in MaoNan and made a difference in Tahlia’s time there. Half the Sky was created in order to enrich the lives of orphaned children in China. They provide model programs and caregiver training designed to offer loving, family-like care to children of all ages and abilities. It is their goal to ensure that every orphaned child has a caring adult in her life and a chance at a bright future. They love to support them in their cause for how they make a difference in the orphan’s life! See their website for their latest crafts for sale! So far they’ve raised over $1000.00! Here is a post I wrote on “Adoption: How to get started” that will help you navigate through the beginning and research phase of your journey! There are many ways to help. Not every family is called to adopt. 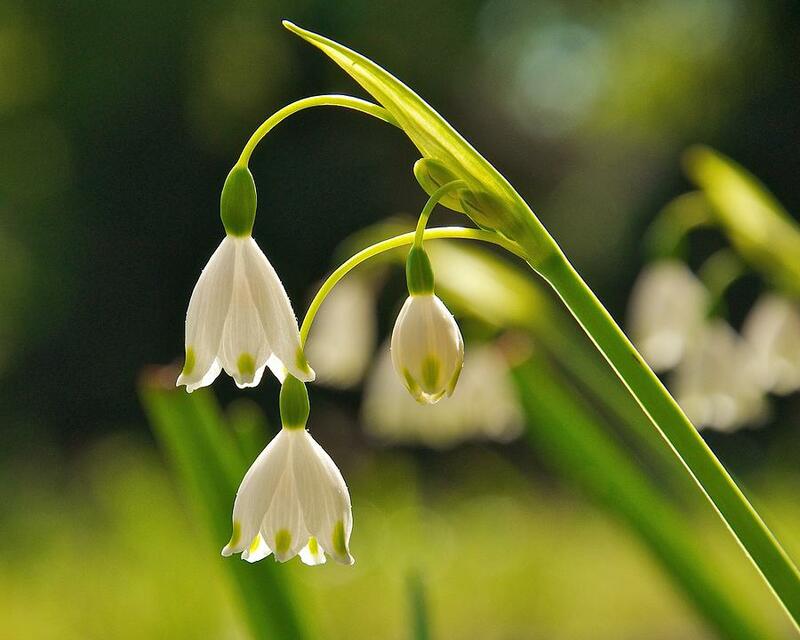 However, if you are wanting more information on how to begin the process of adoption then I would love to help you! **this, by far, Is NOT an exhaustive list. It’s simply a sampling of the MANY resources available to the one who want to learn more about adoption. Thank you for this timeline! We just started our journey and would love any advice you could give! Especially on fundraising… so nerve racking! Thank you again!